Crouching low to the ground to split your vision between this world and the underworld…eyes looking above the snow and eyes looking below. Can you hold the gaze to see two worlds? 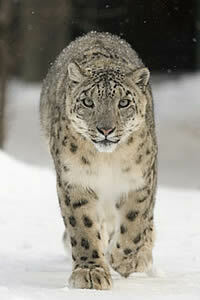 The snow leopard can and offer to share her wisdom.